This entry was posted in Greedy Councillors, Greedy Piggies, Information and tagged Andrew Deniff, Conflict of Interest, Dominic Beck, Jahangir Akhtar, Jobs for the boys and girls, Kevin Barron, Labour Chicanery, Labour Party, RMBC, Roger Stone, Rotherham Metropolitan Borough Council, Wales Ward by Rik. Bookmark the permalink. The Boy Blunder will vote with the majority in the council chamber to protect his jobs. 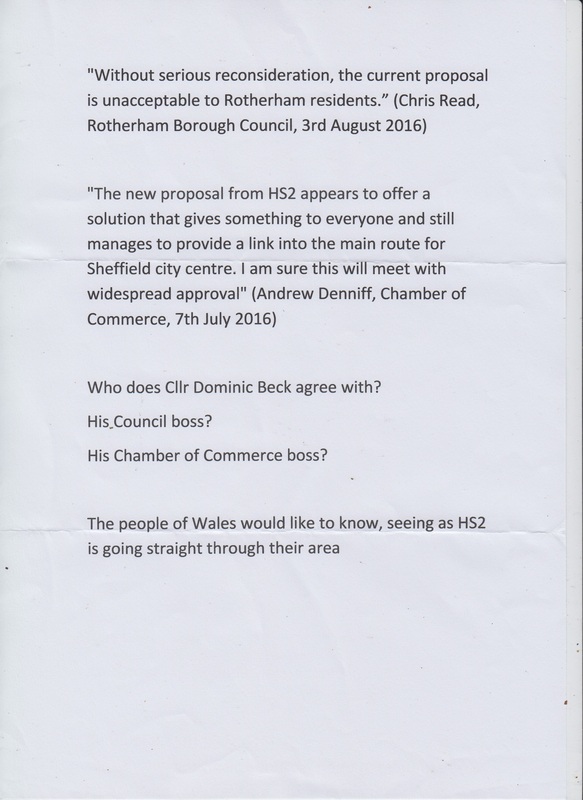 He serves more than two masters; He is also a trustee of the Kiveton Park and Wales Community Development Trust, it will be interesting to see if they agree or disagree with the proposed HS2 route and what his reactions will be? It is not made clear if this means his or your political persuasion. The Boy Wonder—sorry BLUNDER has always been in over his head even when chair of APC he was the biggest idiot this side of the black stump. The only thing he is good for is saying yes sir to the Labour party and licking boots, he certainly has no qualifications in anything other.